It’s easy to embrace the Rosé All Day® lifestyle with this 3pc Rosé All Day® Bento Candy Box filled with three of our most popular candies: 1. But First, Rosé Roses: light pink rosettes infused with Rosé wine from Provence 2. 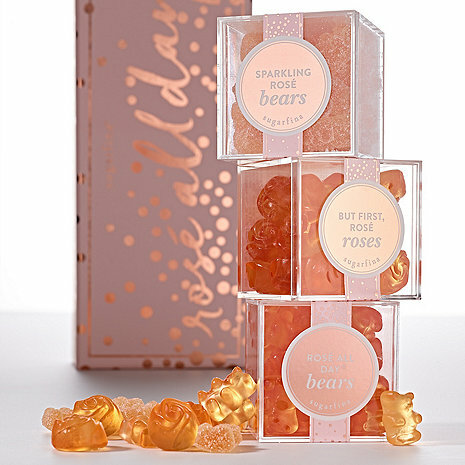 Rosé All Day® Bears: rosé-infused gummy bears. 3. Sparkling Rosé Bears: Rosé bears dusted in tart sugar crystals.